At Tilstock CofE Primary School we provide a broad and rich curriculum which promotes a love of learning, personal growth and development through a balance of skills and knowledge. Our curriculum is firmly rooted in and stems from our core aims. Opportunities that develop a love of learning. A wide range of experiences which make learning relevant and to the pupils. Opportunities for pupils to investigate, make links and apply their skills across the curriculum. tools and skills pupils need to become independent learners. To view our curriculum statement in its entirety please click here. Become confident and fluent in the fundamentals of mathematics, including through varied and frequent. Practice with increasingly complex problems over time. Develop conceptual understanding and the ability to recall and apply knowledge rapidly and accurately. Reason mathematically by following a line of enquiry, investigating relationships and making. Justify or prove thinking using mathematical language. Ask questions and develop their own investigations. At Tilstock School, mathematical methods, lesson structures and principles have been developed alongside Gareth Metcalfe from ‘I See Maths’. Gareth has worked with staff to show concepts visually, breaking learning down into small, purposefully sequenced steps and providing children with extended, challenging learning experiences. How can parents/carers support learning at home? Using money in a real life context. Measuring (weight, capacity, length and height). 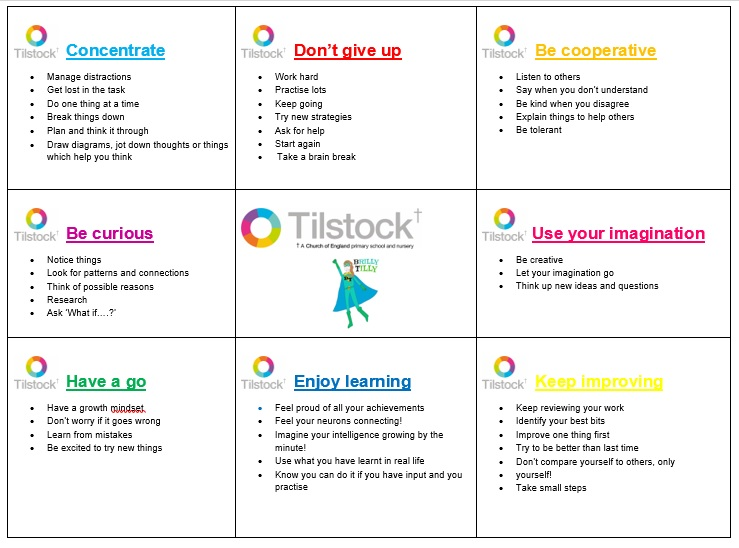 At Tilstock School, we are part of Times Table Rock Stars; an exciting and fun way to learn our times tables. Click here to access Times Table Rock Stars. From mark-making in Nursery to extended Writing across the curriculum in Year 6, the Teaching and Learning of Writing at Tilstock School is an engaging and developmental process. We aim to promote high standards of language and literacy by equipping pupils with a strong command of the spoken and written language, and to develop their love of literature through widespread reading for enjoyment. Read easily, fluently and with good understanding. Develop the habit of reading widely and often, for both pleasure and information. Acquire a wide and varied vocabulary and use these regularly in their speaking and writing develop an understanding of grammar and knowledge of linguistic conventions for reading, writing and spoken language. Appreciate our rich and varied literary heritage. Write clearly, accurately and coherently. Develop an understanding of the writing process and how writers create different effects. Acquire the confidence and skill to elaborate and explain clearly their understanding and ideas. 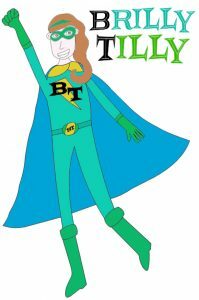 We teach Literacy in daily lessons across the school, with discrete phonics lessons being taught in the EYFS, Year 1 and Year 2 and SPAG lessons in KS2. To promote effective early reading and writing skills, at Tilstock School we use Read Write Inc. Phonics in our daily phonics sessions. This is a highly successful synthetic phonics programme created by Ruth Miskin and published by Oxford University Press. This begins in Nursery and runs through until Year 2. In each phase children are taught to match sounds to their corresponding letters. In phonic sessions children are taught to recognise letters, understand the sound they make and then blend them together to create words. Some words, which cannot be phonetically sounded out, are taught at each phase. These are ‘tricky words’ and are taught through sight recognition. Children at the end of year 1 take a ‘phonics screener’ check. The check assesses phonic knowledge learnt in Reception and in Year 1 to help identify the children who need extra support with decoding and blending before they begin Year 2. As part of our continued drive to raise standards in English, we are placing a large focus on spelling throughout the school. We currently follow a programme called No Nonsense Spelling, which is delivered in KS2. No Nonsense Spelling focuses on the teaching of spelling, embracing knowledge of spelling patterns and rules; and promoting the learning of spellings, including National Curriculum statutory words, common exception words (where phonics does not work because it is spelt in an unusual or uncommon way) and words that children personally find difficult. It is often that children can spell words correctly in their weekly spelling test, but are unable to apply the correct spelling in writing. No Nonsense Spelling focuses on the application of spellings into writing. In EYFS, our lessons follow the Talk 4 Writing approach enabling children to imitate the language they need for a particular topic orally before reading and analysing it and then writing their own version. Children begin the ‘Talk for Writing’ process by internalising a text. This is done in a range of ways including text maps, inventing actions for parts of the text and drama. The children learn the text by heart. They are able to identify key features of the text, sometimes independently and other times as a group or class. Following on from this, the children then have to imitate the text they have learnt. They may make simple changes to the original text to alter it slightly. Once they have internalised the reworked text, they then have to ‘box up’. This simply helps them to organise their ideas and acts as a plan for their writing towards the end of the week. The final part of the Talk for Writing process is ‘innovation’. Over the previous weeks the children will have been equipped with the skills required for inventing their own text from beginning to end. They will come up with their own ideas and be able to box them up. They will then be able to produce an independent piece of writing showcasing their text. At Tilstock School, we provide a creative, engaging and exciting curriculum designed to spark children’s interest and create a love of learning. We use a creative and thematic approach to learning that is mapped to the 2014 Primary National Curriculum to ensure comprehensive coverage of national expectations. We being each term with a theme launch day. This is a time for pupils from Nursery to Year 6, to take part in a range of activities to immerse themselves in the topic, solving problems, applying themselves creatively and feeling excited about the learning to come. The thematic curriculum provides a rich menu of exciting and motivating learning activities that make creative links between all aspects of our children’s learning. We believe children learn better when they are encouraged to use their imagination and apply their learning to engaging real-life contexts. Our curriculum will provide lots of learning challenges throughout the academic year that will require children to express their knowledge and understanding effectively, as well as develop the skills required in order to meet age related expectations. how these are interdependent and how they bring about change over time. Develop scientific knowledge and conceptual understanding through the specific disciplines of biology,chemistry and physics. Develop a love of science and the natural world. have shaped this nation and how Britain has influenced and been influenced by the wider world. societies; achievements and follies of mankind. historically valid questions and create their own structured accounts. and discern how and why contrasting arguments and interpretations of the past have been constructed. military, political, religious and social history; and between short- and long-term timescales. We recognise PSED as one of the core strands in the Early Years Foundation Strand and it is woven into all areas of our curriculum. The content of the EYFS PSED curriculum is split into three strands. Children are assessed against these three strands at the end of their Reception class year. For Key Stages 1 and 2, we aim to cover the following core themes as set out in the 2017 PSHE Association Programme of Study which is explored in depth below. Our Programme of Study for PSHE education (key stages 1 & 2) identifies the key concepts, skills and attributes that are developed through PSHE education. It fulfils the statutory responsibility to safeguard pupils, support their spiritual, moral, cultural, mental and physical development and prepare them for the opportunities, responsibilities and experiences of life. What is meant by a healthy lifestyle? To respect equality and diversity in relationships. A basic understanding of enterprise. At Tilstock we believe that our practice in PSHE and Citizenship helps children in our school to relate well to the local community. Our children are happy, confident and well motivated and have a wish to learn and be involved in all aspects of their learning. We believe that our policy and practice promote equality for everyone. All pupils have the opportunity to take part in our PSHE and Citizenship programme, and to contribute their views through School councils. We are aware that PSHE and Citizenship Education includes aspects of school life not confined to the classroom e.g. friendship, lunchtime activities, making school rules, being aware of other cultures and coping with change. These issues are as important as those planned for in the classroom. Through the breadth of opportunities offered to children throughout the whole school, pupils will be encouraged to make choices and decisions in the issues which affect their lives. We encourage the children to take part in a range of practical activities that promote active citizenship, e.g. charity fundraising; Fairtrade activities; the planning of school special events such as an assembly and worship, or involvement in an activity to help other individuals or groups less fortunate than themselves. We offer children the opportunity to hear speakers, such as health workers, police, and representatives from the local churches, who talk about their role in creating a positive and supportive local community. Visitors work with particular classes and/or in assemblies (see Visitors policy). PSHE and Citizenship is taught across the curriculum and in relevant contexts. The programme is therefore woven in across the curriculum (Science, RE, Computing, PE etc). It also benefits from specific timetabled time or un-timetabled pro-active sessions that deal with ‘real time’ issues there and then.